بني فندق Comfort Inn Centrepoint Motel في ، وهو يعتبر ميزة مُضافة للمدينة و خيار ذكي للمسافرين. يسهل الوصول إلى هذا الفندق ذو 3.5 نجوم من المطار، فهو يبعد عنه مسافة 3.9km فقط. يوفر الفندق بفضل موقعة الجيد وصولاً سهلاً إلى أهم معالم المدينة.
. إن الخدمات التي يقدمها Comfort Inn Centrepoint Motel تضمن للنزلاء إقامة مريحة. يمكن الاستمتاع بمجموعة من الخدمات على أعلى المستويات في الفندق كمثل واي فاي مجاني في جميع الغرف, خدمة التنظيف يوميًا, تسجيل وصول/خروج سريع, تخزين الأمتعة, واي فاي في المناطق العامة. تعكس غرف الفندق البالغ عددها 41 المنتشرة في 2 طوابق جواً من الدفء والألفة.خدمات عصرية مثل تلفزيون بشاشة مسطحة, بياضات, مرآة, مناشف, اتصال لاسلكي بشبكة الإنترنت (مجاني) موجودة في بعض الغرف المختارة. كما أن مجموعة الخدمات الواسعة الموجودة في الفندق لضمان راحتك تترك لك الكثير من الخيارات لقضاء وقتك أثناء فترة إقامتك. يحظى فندق Comfort Inn Centrepoint Motel بموقع ممتاز وخدمات يصعب منافستها. We stayed here with kids for the annual cricket carnival as the location is very central and the rooms were cheaper than other available options. But the motel found another sneaky way to charge me extra money which was very disappointing. I accidently left the room key inside and locked the door, upon calling the reception someone appeared within couple of minutes and handed me another set which was really helpful. But to my disappointment I was charged $75 extra fees (nightly accomodation was $100 only!) for this service. This happended around 9pm on a weekday and wasn't a middle of the night call. I spoke to the reception and wanted to talk to the manager who hasn't bothered to call back 3 days after checkput. Suffice to say I won't be recommending this place to anyone and won't be returning here. Friendly and helpful staff. Large fridge, and the shower was fantastic. The motel had all that we needed for our stay, and the location is very quiet. The staff were great, the air conditioning was excellent . 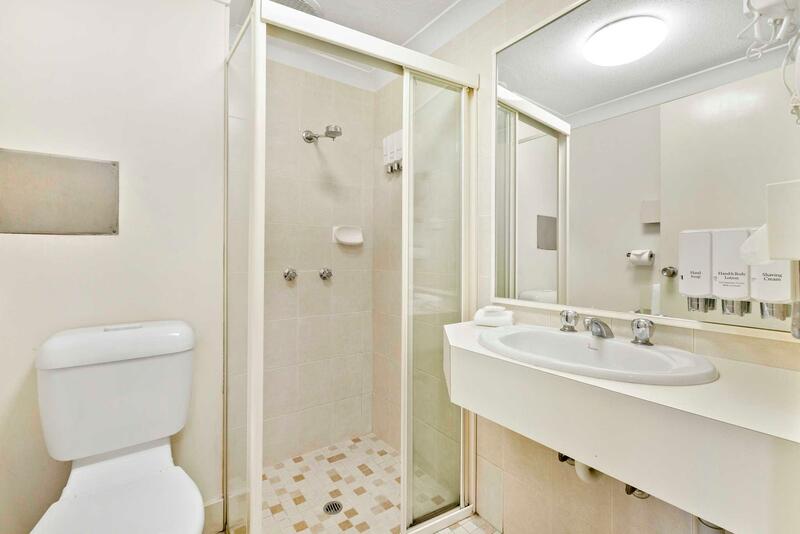 Uncomfortable beds, mouldy shower and tiny bathroom. Mould in the main bedroom on the cornice. This motel was perfect for our needs. We attended the week long Lismore U12s Cricket Carnival and were gone for much of the day and wanted to come back to a clean, safe quiet motel. This was perfect. Although a number of family groups and teams were staying here also you couldn't hear them. Staff were wonderful. As I expected it to be. I have stayed there before but was pleased to see that the present staff were much more attentive and very friendly. Easy to find, Parking available, Clean. I was surprised & a little disappointed as I thought when I booked the 2 bedroom apartment it would include a toaster etc to make breakfast but it didn't. The shower was great though, not modern but definitely the best part of my stay. My 3 young children loved the big TV in the second bedroom although the beds on wheels were a little annoying on the tiled floors. 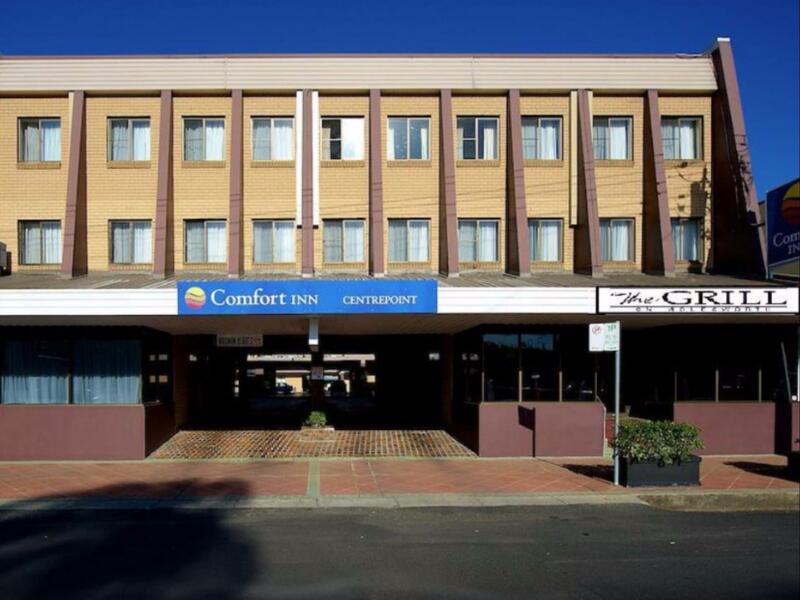 this multi-storey motel is central to lismore city, and its region. some people may find the access stairs to some rooms a limiting factor, so ask agout options when booking. 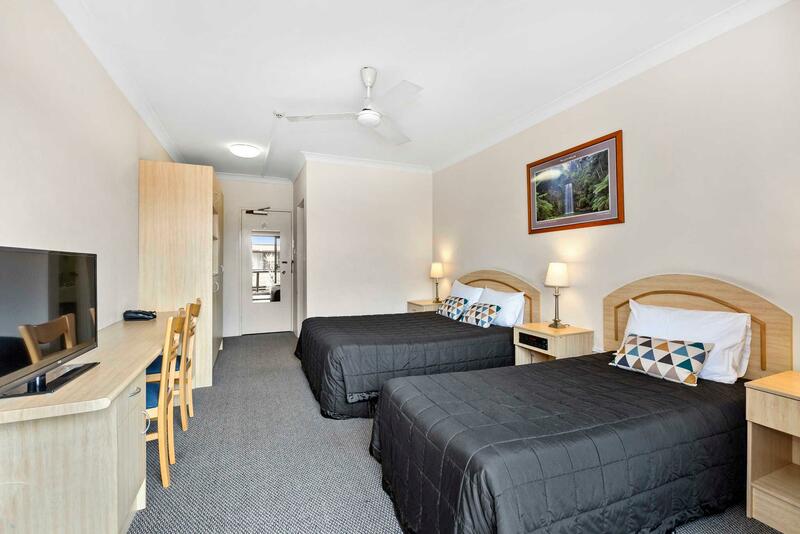 the rooms are spacious and well appointed, with: tv with some 'cable' channels, hanging space with ironing board and iron, ensuite, spacious bed area. our room faced the street and the garbage was collected by truck from there at 6.30am. most rooms are behind the frontage. 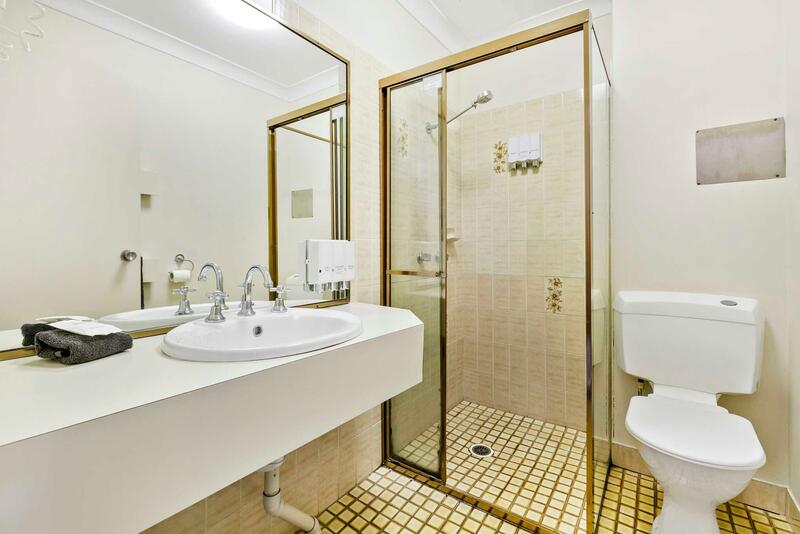 the motel is a short walk to the city's main street and nearby attractions. dining is also provided onsite. Used the hotel as a stopover during a weekend sporting trip. Was conveniently located and well priced. Room was clean however a little bit small. Staff were very friendly. All in all we were extremely happy with our stay. I have stayed here before and will stay again. I would recommend this motel to others.